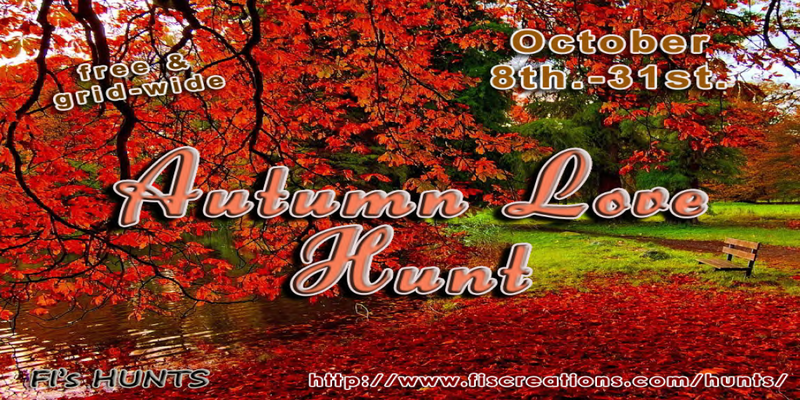 Beginning October 8th, a hunt hosted by Fi’s Hunts, the Autumn Love Hunt, started and I am in love with it for several reasons. For one thing, who wouldn’t love a hunt with their name in the title? Autumn also happens to be my favorite season because of all the pretty colors, Halloween, and it’s the perfect time for hot cider, cozy sweaters, and pumpkin flavored everything. So a hunt that revolves around this wonderful time makes me a very happy kitty. 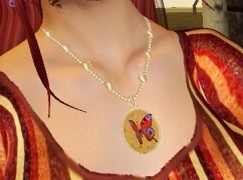 I’ve been given a sneak peek at some of the goodies you can expect to find on the hunt trail as you venture the grid. There’s 38 shops participating and in the links section below will be a link to their blog and the start point.The hunt runs from October 8th-31st. Now let’s see what are some of the gifts available on this free hunt! Starting with furniture, I wanted to share the adorable outdoor living set created by =EC Designs=. 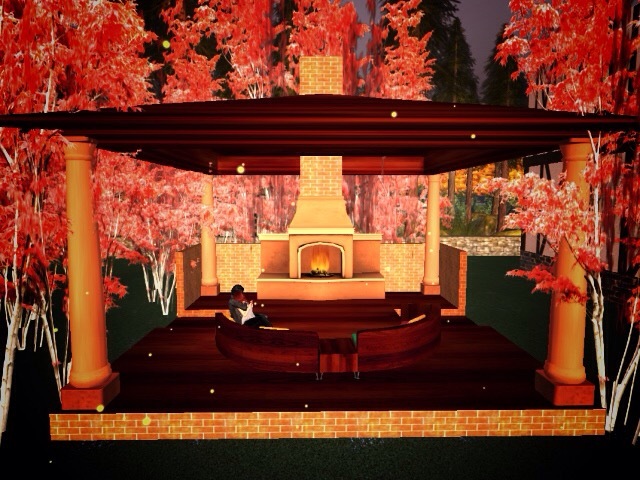 it comes loaded in a rez box for easy setup and the fireplace is perfect for taking the bite out of a chilly autumn night while cuddling with a special someone. 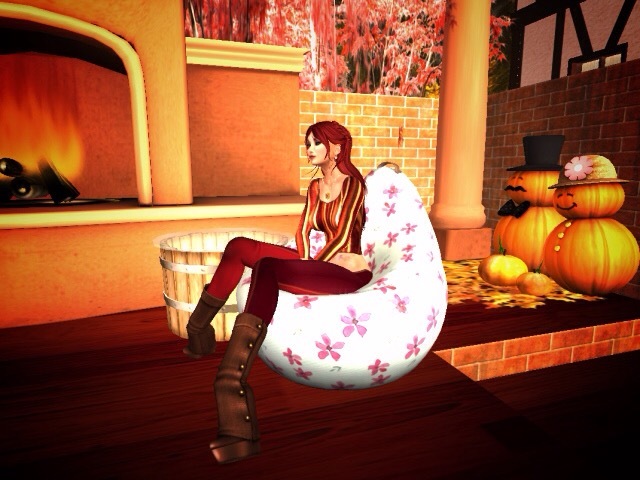 The Floral Bean bag by Rupsy Roo is great for creating a chill hang out spot in small house corners. Shabby Tabby’s table has a quaint harvest feel: the straw is woven with lights under a glass top for a soft glow. The last furniture piece for this post is the cute pumpkinmen tip jar. I thought this tip jar was a neat twist on the snowman idea. It would make a great tip jar for a Halloween party or just as a decoration.